How much thought have you put into the packaging you’re using when you ship items out to your customers? If your packaging has turned into an afterthought, you should strongly consider specialty packaging. Specialty packaging presents a unique marketing opportunity, as it can help your company stand out in the crowd and make your customers feel better about placing orders with you. Here are several major benefits of using specialty packaging for your products. Specialty packaging will offer your products the protection they need. The packaging you use when shipping products should always be built to protect whatever is inside of it. The last thing you want is for products to be damaged when they’re shipped out to customers. By choosing the right specialty packaging for your products, you can ensure they arrive safely at their final destination. You can also guarantee that they look great when they arrive, which is something that’s important to your customers. It will ensure your products are delivered to customers on time. If you don’t utilize specialty packaging when sending products out to customers, your packaging could rip, tear, or get opened up accidentally. When this happens, it’ll often delay shipments and cause them to arrive later than they should. Specialty packaging will help packages arrive on time so customers aren’t forced to wait around for items to show up. It will result in fewer returns and keep your customers satisfied. When something shows up on your front porch wrapped in specialty packaging, it feels a lot more important than something in a plain old package. Even before someone opens it up, he or she will feel a certain sense of satisfaction with it. That will go a long way towards keeping your customers happier overall with your products. Are you looking for the right specialty packaging for your company? 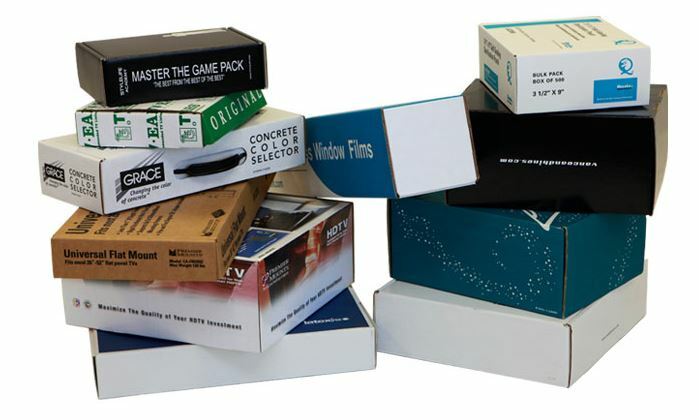 From custom printed tapes to set-up boxes, Paramount Container & Storage has the specialty products you need to create unique packaging for your brand. Call us at 714-257-1445 today to see what we have in stock.